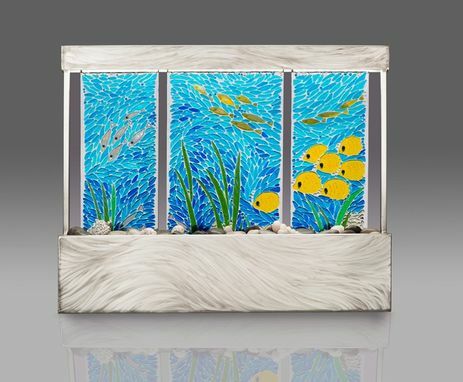 This tabletop fountain is a collaboration between a local glass mosaic Artist and Myself. We wanted to create a piece that brings the beauty and movement of a tropical lagoon into a functional piece of art. 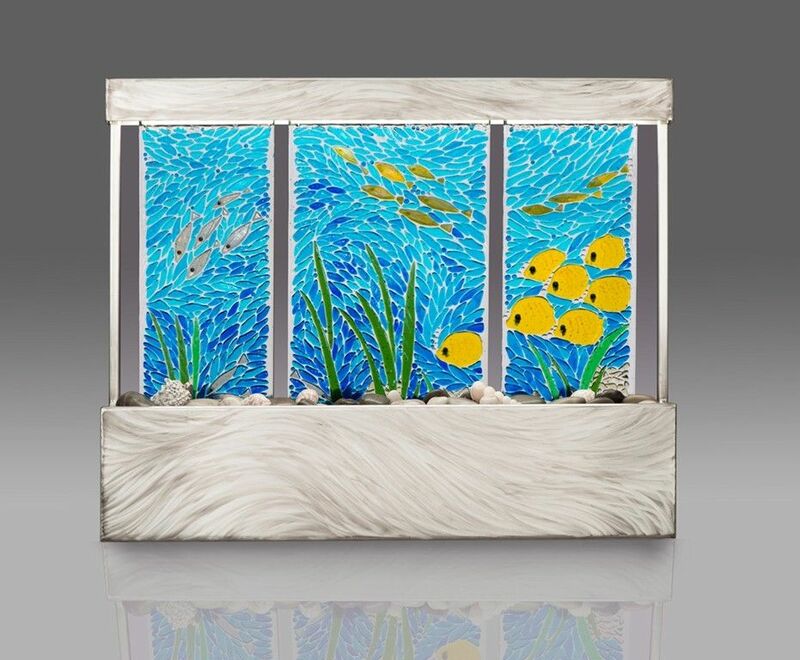 This piece gives a whimsical view into a tropical lagoon full of life, color and movement, like your own window into the Ocean.